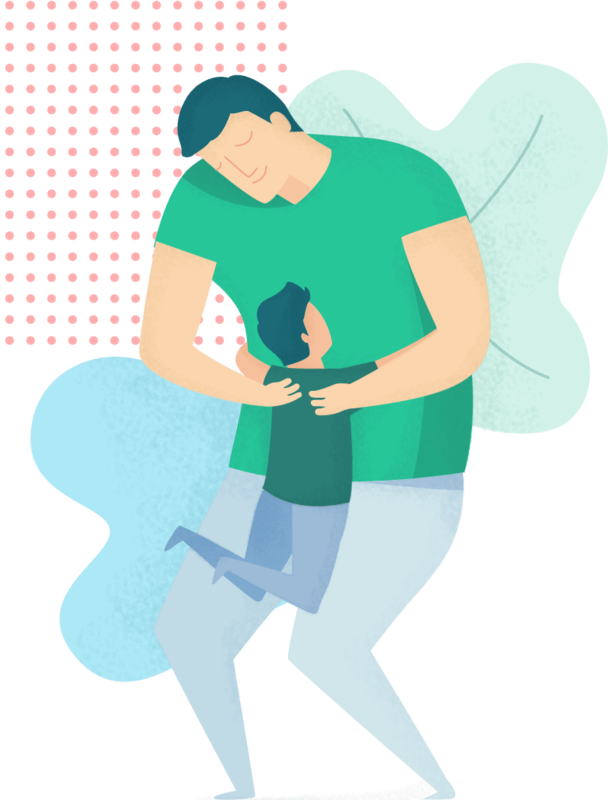 Top 10 reasons to donate to United Way of Dickinson, Inc.
And the #1 reason …. Hold a jean day. In order to show support for United Way of Dickinson, Inc. we are asking for your help. 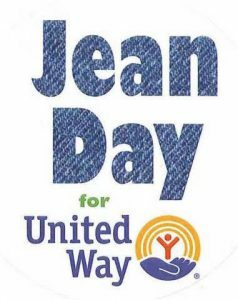 All proceeds raised by a “Jean Day for United Way” goes to supporting United Way of Dickinson, Inc. and its agencies. Even small contributions can make a big difference. When you shop at Amazon 0.5% of your eligible purchases can go to United Way of Dickinson Inc. without you having to do anything other than shop for what you love. Simple. Easy. Fast. Simply go to https://smile.amazon.com/ch/45-0345635.Select United Way of Dickinson Inc. as your chosen charity. Amazon Smile is the same as Amazon (same products, same prices, and same service). 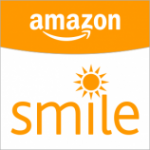 Once you have chosen United Way of Dickinson Inc. simply log into smile.amazon.com whenever you buy an item from Amazon and let Amazon do the rest of the work for you. 1. Recruit a workplace Campaign Coordinator and Committee. 2. Determine a 3-4 week time period for the campaign. 4. Schedule and announce a presentation by United Way (call 483-1233 or email unitedway@ndsupernet.com)—preferably in conjunction with a staff meeting, to ensure good attendance. Offer refreshments. 5. Set a workplace goal and post a thermometer marking progress. 6. Offer payroll deduction option. 7. Secure Company match, for employee donations. 8. Distribute pledge forms and brochures to all employees via paychecks, employee mailboxes, or at a meeting. Include memo from Campaign Coordinator and/or CEO encouraging participation. 9. Offer incentives for early pledges, first time donors, prize drawings for all donations, etc. 10. Hold friendly competitions between departments. 11. Hold friendly competitions between similar businesses. 12. Hold special events to raise additional funds from those not interested in payroll deductions—car washes, pie contests, can drives, casual day, etc. 13. Remind employees a week before deadline and at deadline. 14. Collect pledge forms, checks, and cash. Call campaign volunteer for packet pick up. 15. Thank everyone who participated.